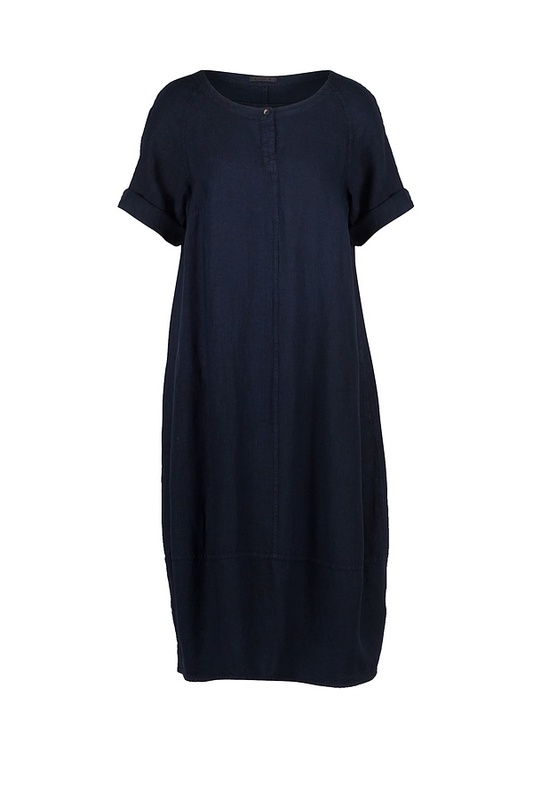 This OSKA dress with a slightly rounded silhouette is a summer all-rounder: airy, casual and it offers maximum wearing comfort in heatwave temperatures. Combined with knitwear and new ultra-light coats and windbreakers, it is also ready for cooler temperatures. Vertical dividing seams give this dress its shape. 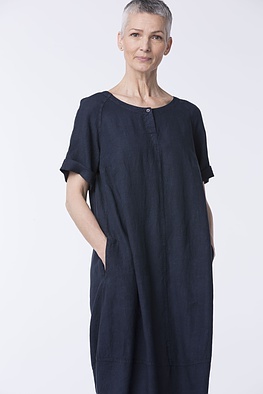 Some feminine details are the half-length sleeves which can be turned up, the summery neckline with a button and a back panel with small folds. Pockets are on the sides.